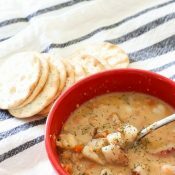 Even though I do tend to post all kinds of food recipes around here, my favorites are, by far, the healthy ones. 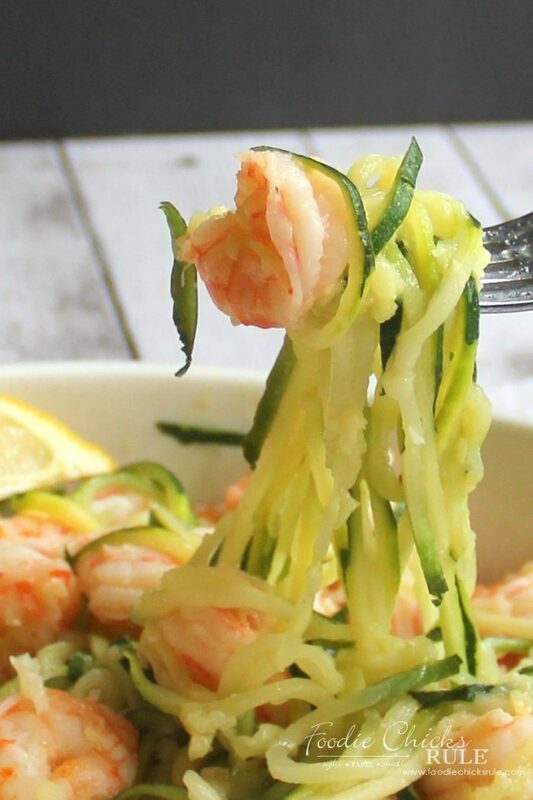 Like this “Lemon Garlic Shrimp Zoodles” recipe. Healthy doesn’t have to be blah. This dish surely isn’t! 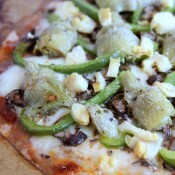 It’s loaded with yummy flavor and it’s so easy too. That’s another thing you’ll find here. Easy recipes. 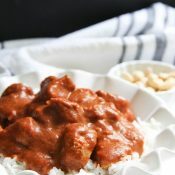 Who has time to spend all day in the kitchen? 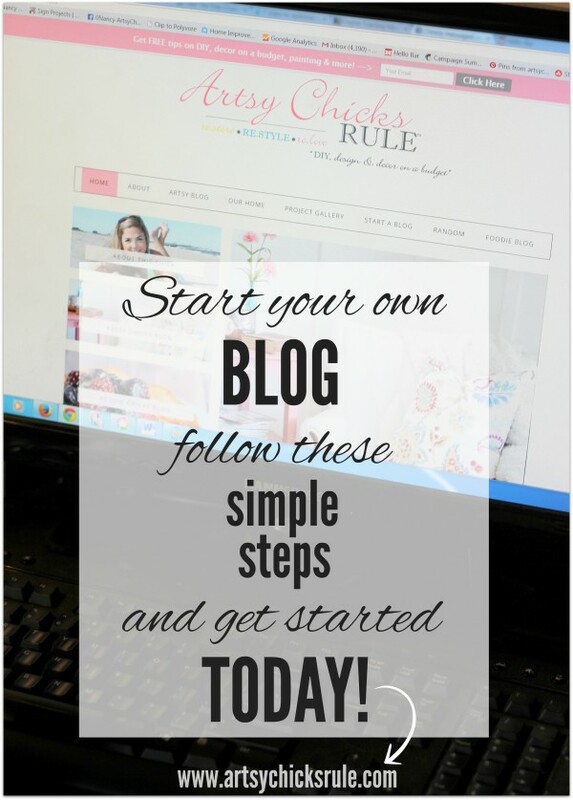 Have you made them before? 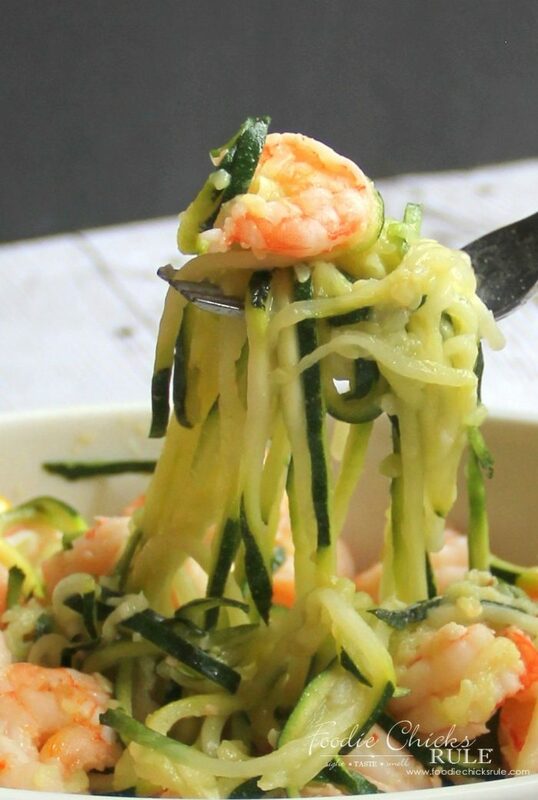 They are just zucchini cut into swirls of pasta shaped goodness. 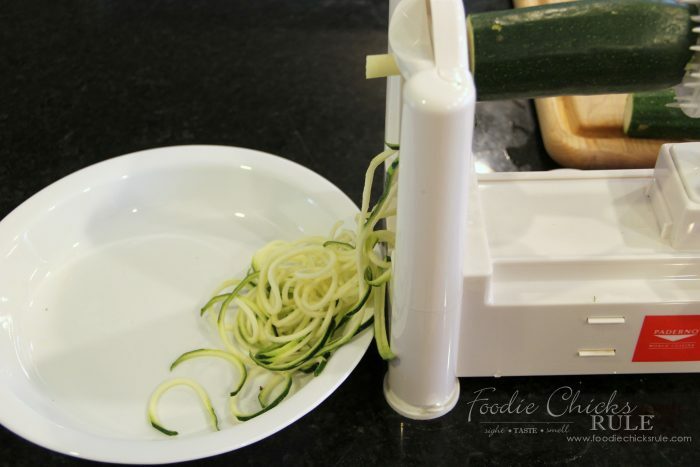 And you use a spiralizer like you see below. Although I’ve had it for a few years now. There are tons of nifty, new ones you might like better here. I always make a bit more than I think I’ll need by the looks of them raw. They cook down a bit so you need to keep that in mind. However, you don’t want to cook them all the way “done” either. They are much better with a little firmness to them. Start out by sauteing them with a little olive oil or butter. This typically takes about 5-7 minutes but keep in mind what I said above. I like to place them on paper towels to remove all the excess moisture. Otherwise your sauce can end up runny. Next add your fresh shrimp to the pan with a bit of butter until done. 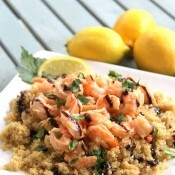 Add 2 tablespoons of butter, 2 tablespoons of olive oil and 1-2 large cloves of garlic, minced or pressed to the pan. Saute for 2-3 minutes on medium. 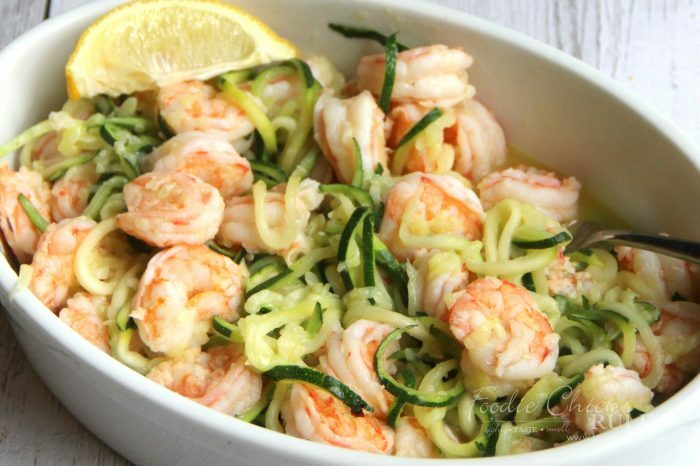 Add the zoodles and shrimp to the pan with the garlic and butter. Squeeze the juice of one lemon over top (be careful of seeds). 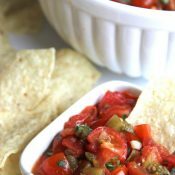 Toss and heat for 1-2 minutes. 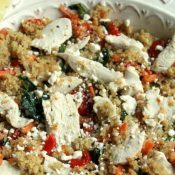 Delicious, healthy and very tasty meal that was quick and easy to throw together. 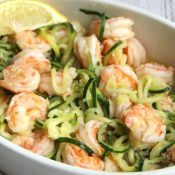 PIN this Lemon Garlic Shrimp Zoodles Recipe to save it for later! 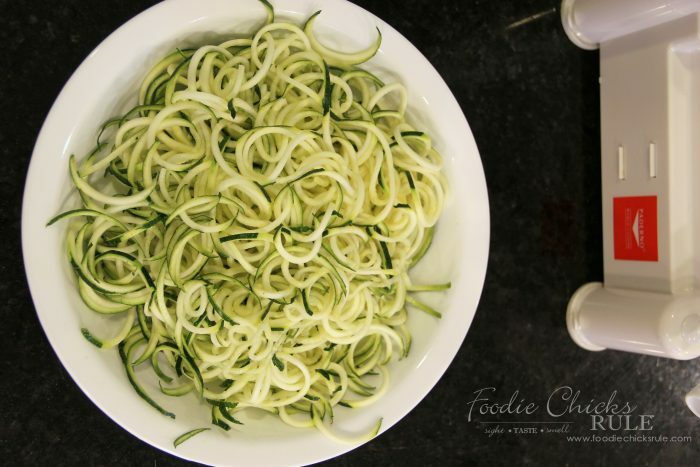 Zoodle the zucchini and add it to a frying pan along with a splash of olive oil or butter. Saute for about 5-7 minutes on medium. It is done when it is still a bit "firm". Do not overcook, test as you are cooking. 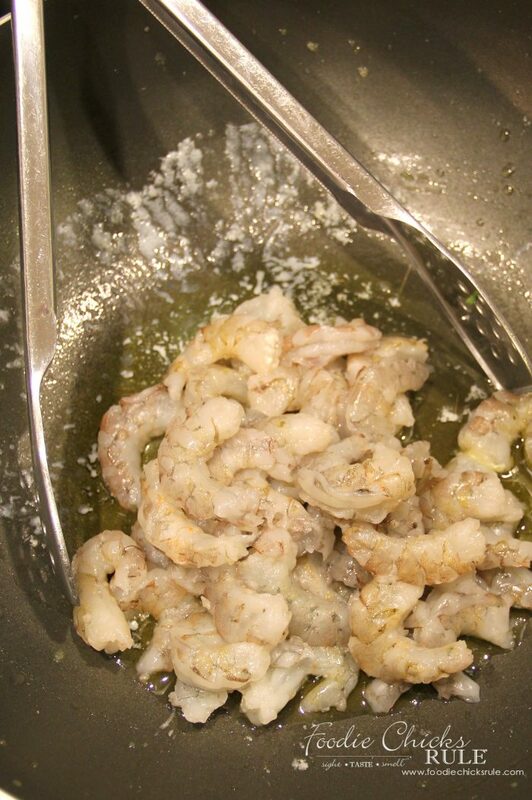 Add the fresh shrimp to another frying pan saute with a little butter on medium until just done. Add 2 T butter and 2 T olive oil to the pan along with the garlic. 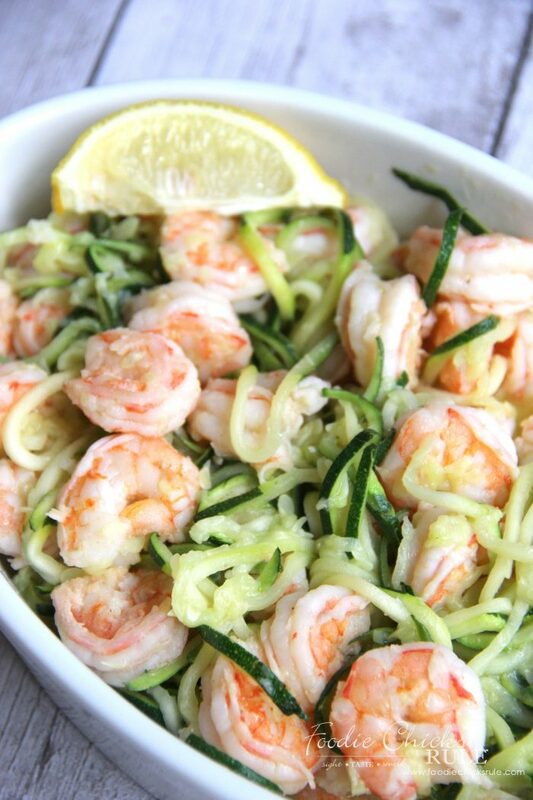 Add the shrimp and zoodles back to the pan and squeeze the juice of one lemon over top. Best Ever Lemon Garlic Marinade for Chicken & Veggies! 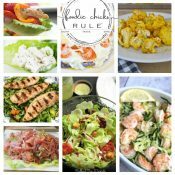 « 15 Kitchen Must Haves!! Looks delicious!! I need to get a spiral vegetable slicer and try it! Love your healthy version. 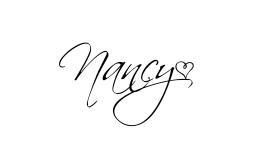 Thanks Nancy! 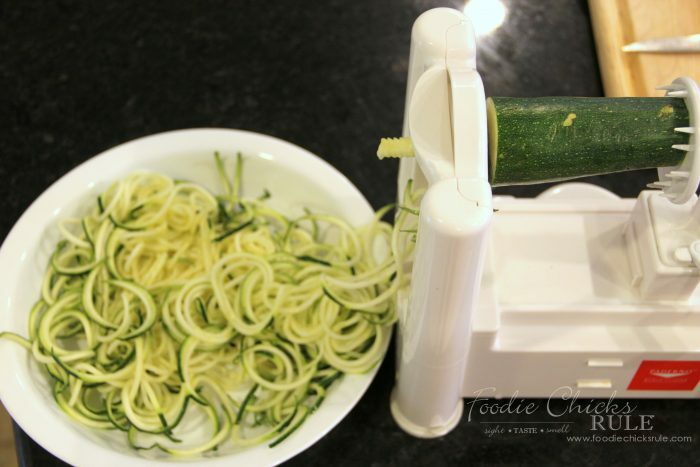 I don’t have a spiralizer but I’m pretty sure that I’ve seen zoodles for sale in the produce section at Kroger. I’m eager to try this recipe. The holidays were rough on my waistline (my fault :) ) and I’m eager to eat more healthy meals now that the heavy fun holiday meals are over. I have one of those hand held spiralizers but I need to step up my game! 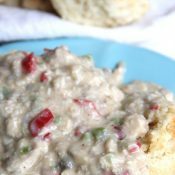 This recipe looks and sounds so delicious!